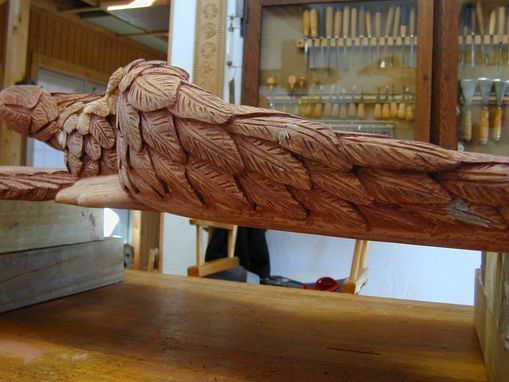 This carving was inspired from an etching. 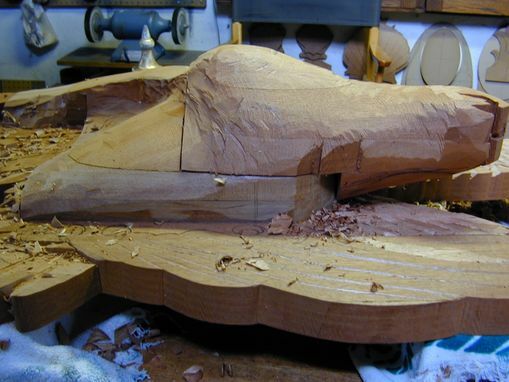 I have developed the most scuptural carving style to her making her more proud and adding. 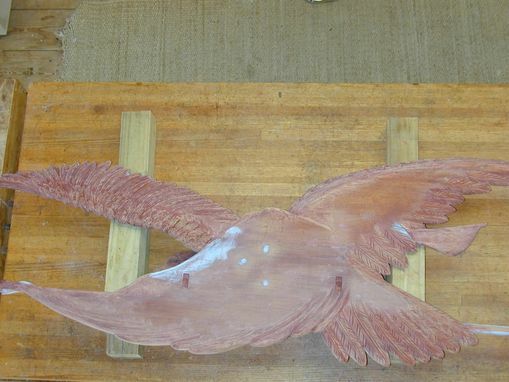 The entire top wing area now flows behind her giving her more of a scuptural appearance. 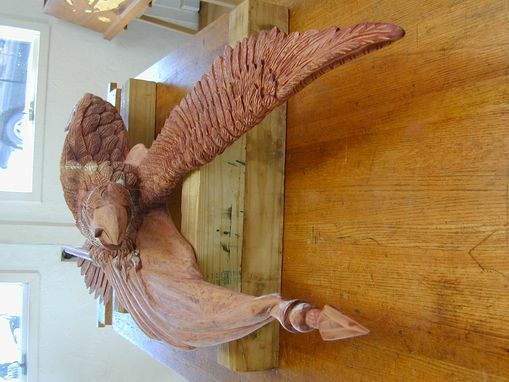 The head is carved in full to match her proud appearance. 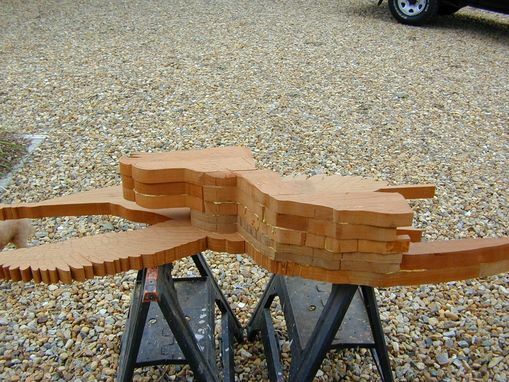 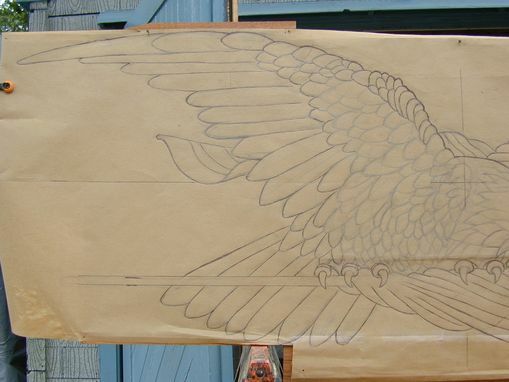 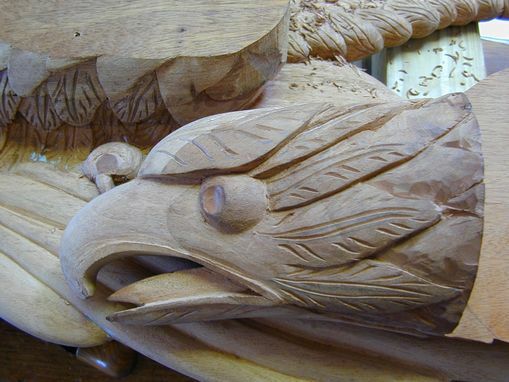 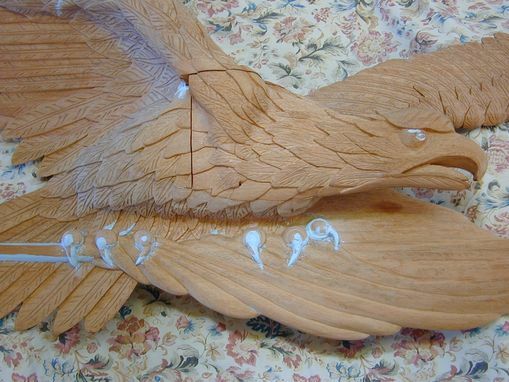 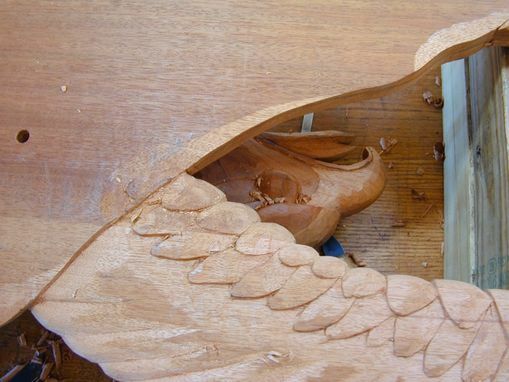 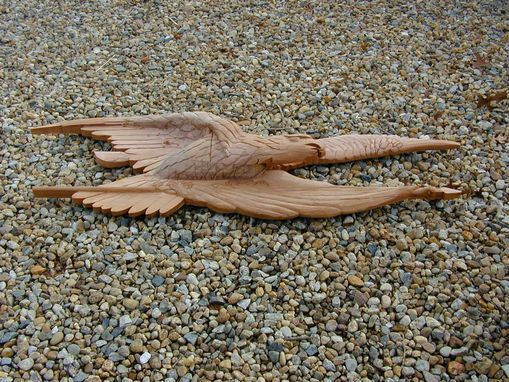 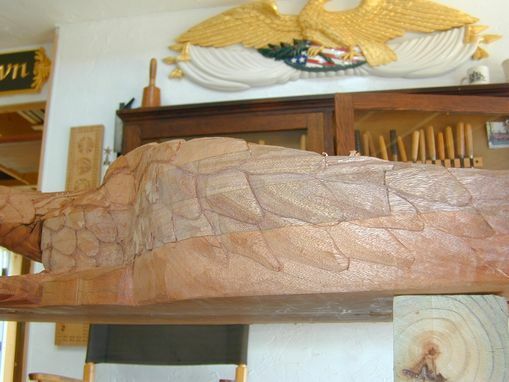 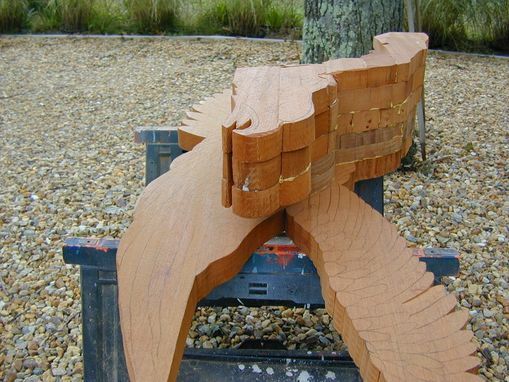 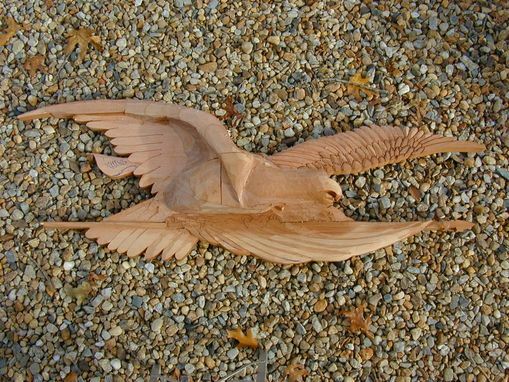 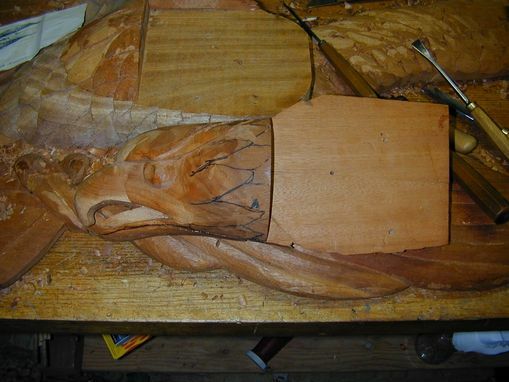 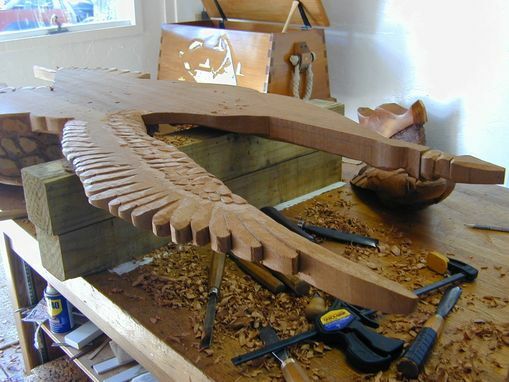 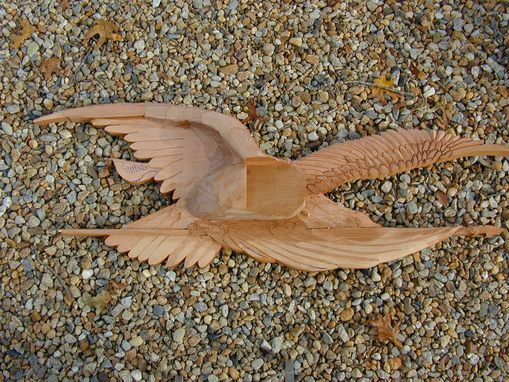 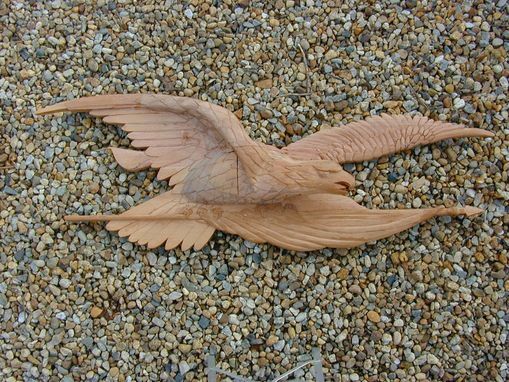 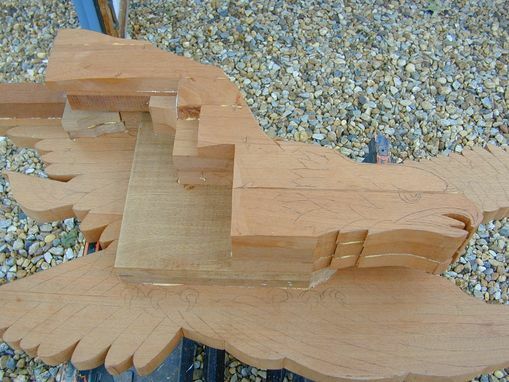 In carving her form and adding the back area we are then able to obtain more detail not available if I had not. 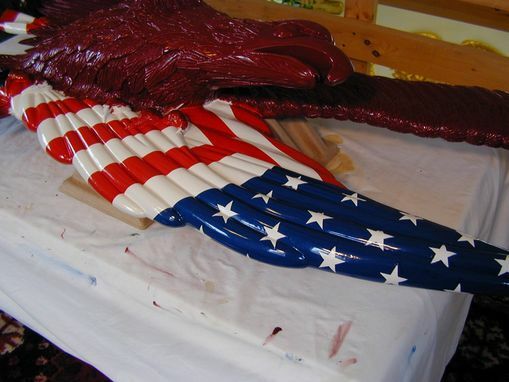 The same for the flags. 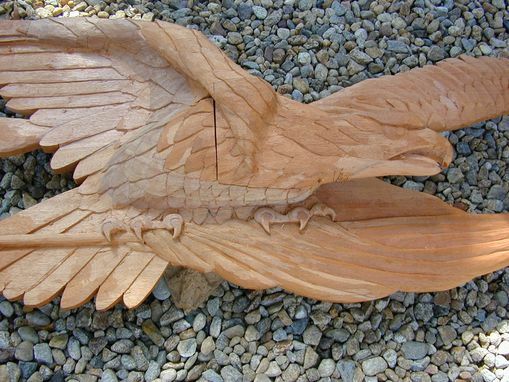 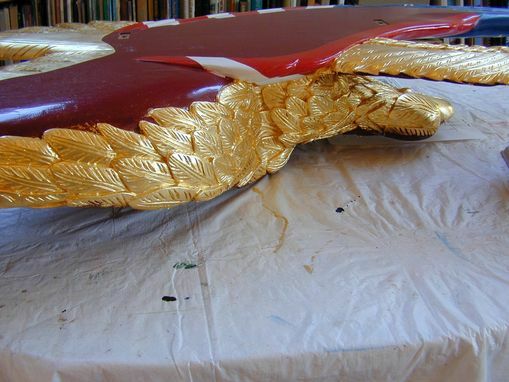 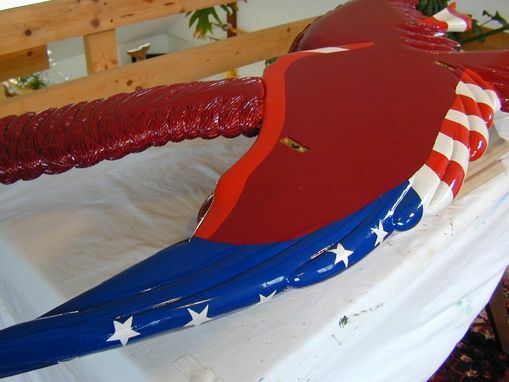 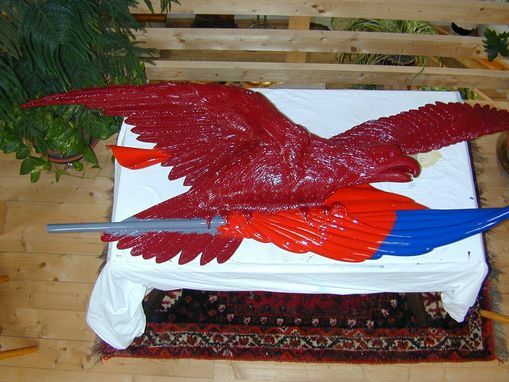 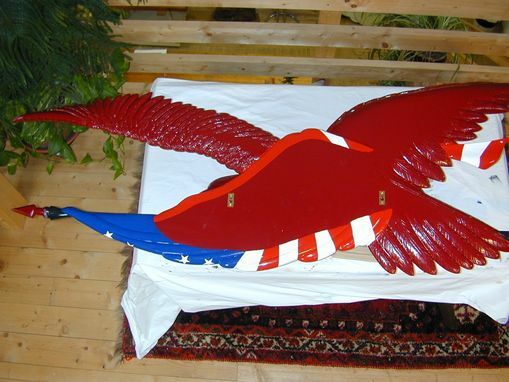 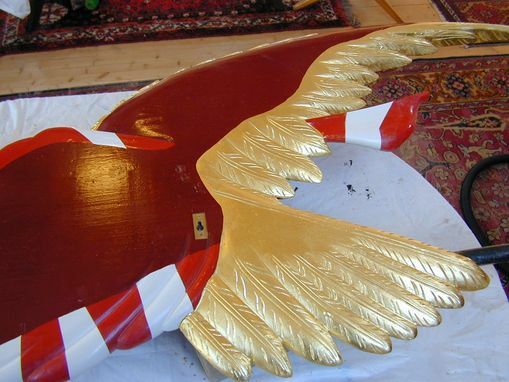 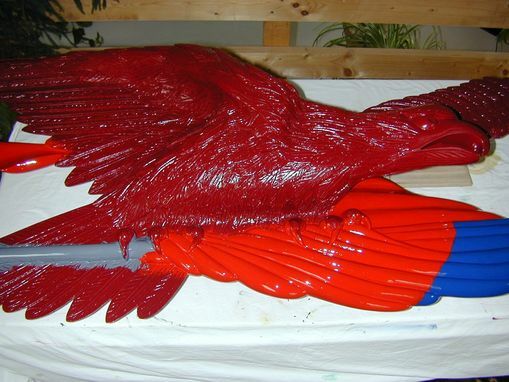 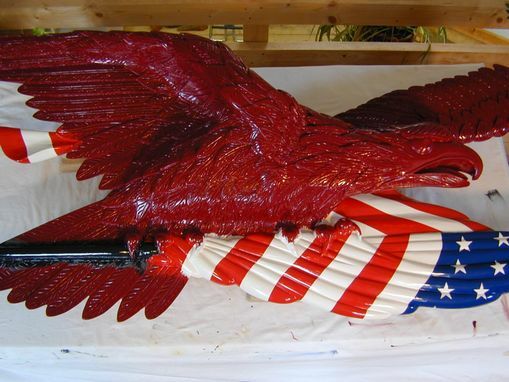 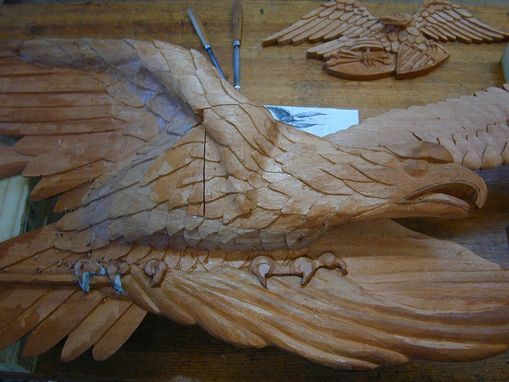 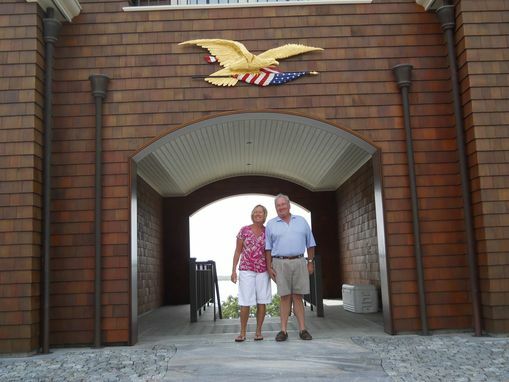 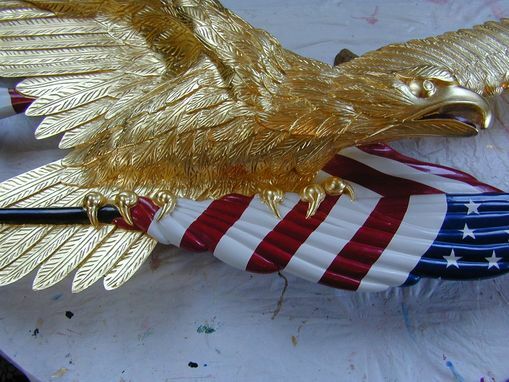 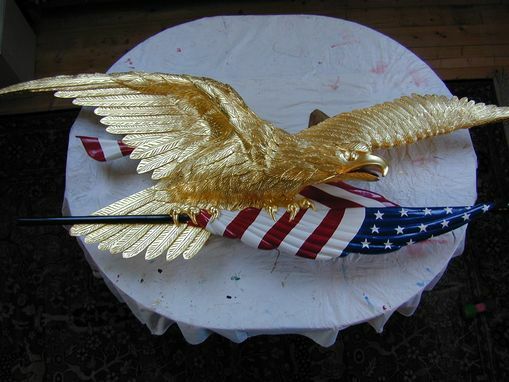 The eagle was created in Honduras Mahogany, the eagle surface is primed with 2 coats and finish with 4-6 coats of Interlux paint for each color and finished with 23xx gold German Leaf, to a gilded finish. 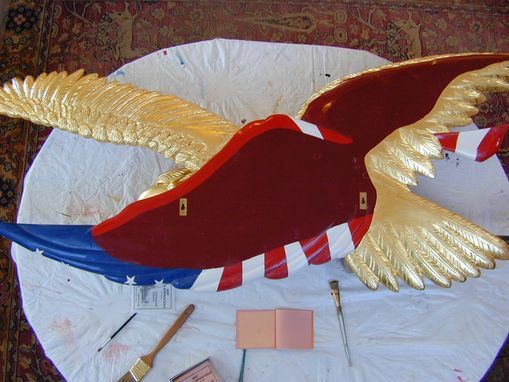 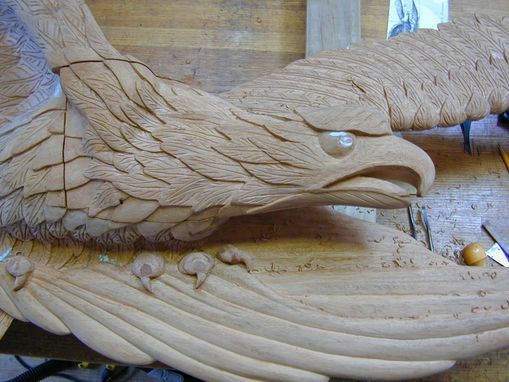 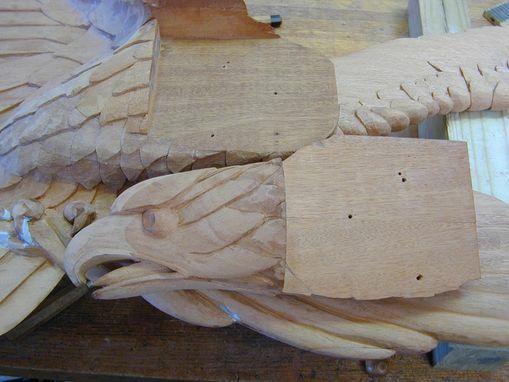 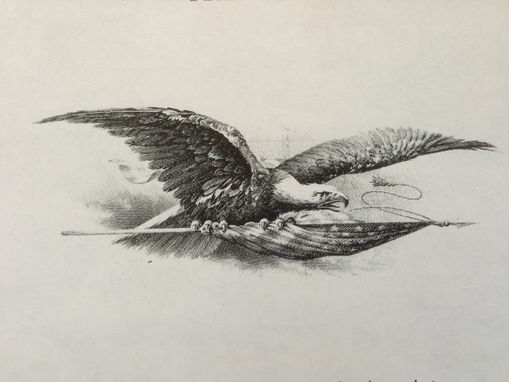 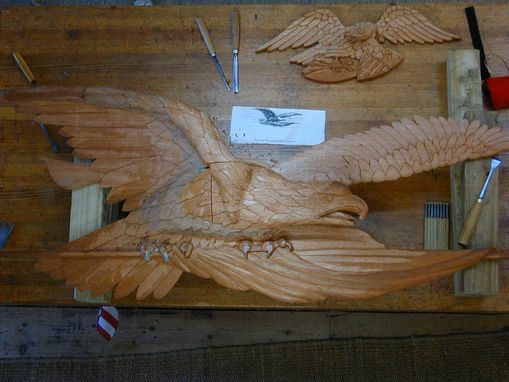 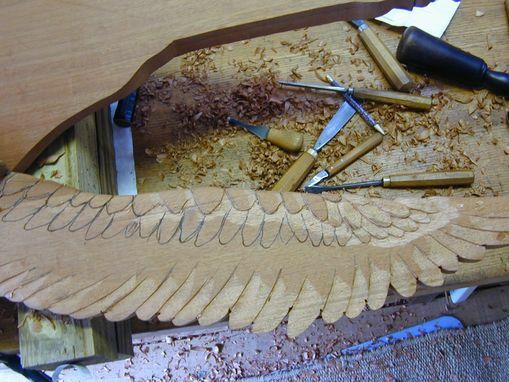 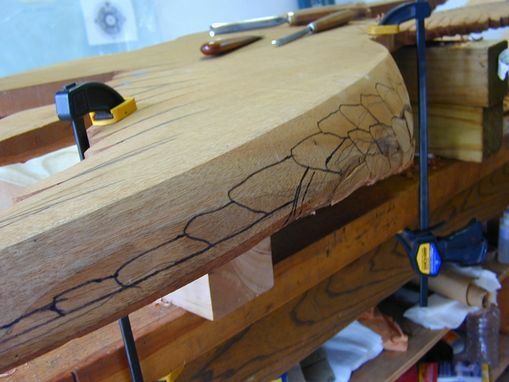 The eagle will be installed with brass key hole slots into the back of the eagle surface. 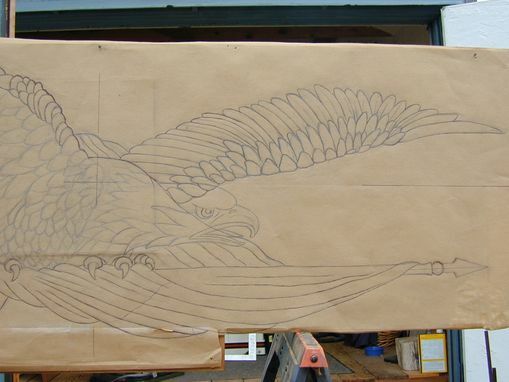 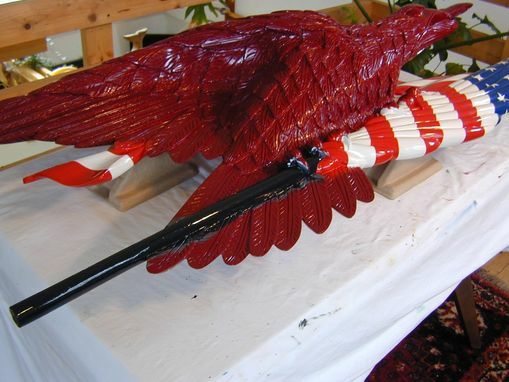 The stainless steel screws are include with the eagle for installation along with a hanging pattern. 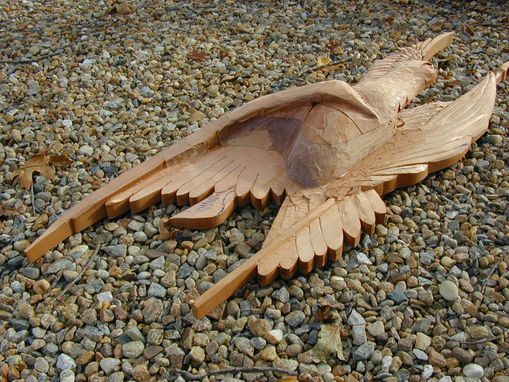 She is created to be used outside in any weather as seen in my images. 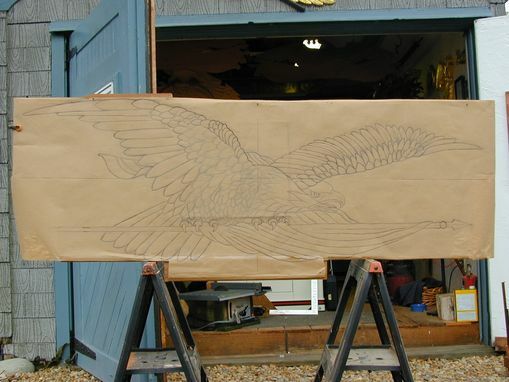 Dimensions: 7.5" X 23" X 72"